Geraniums are easy to maintain but once in a while, if they start to exhibit any of the above signs, it is necessary to pinch back new growth on the stems. 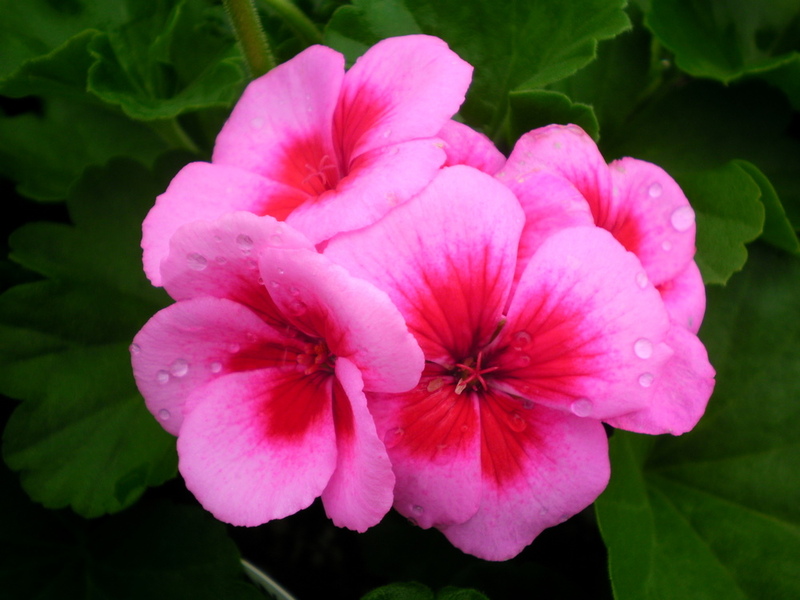 It is recommended to prune your geraniums intensely once a year. This pruning should take place during the winter season, as this is a time when the plant goes dormant and does not grow. Pruning at this time encourages fresh healthy blooms in spring. The tip of the stem, from where new plant growths occur, should be pinched back from time to time. This forces the plant to branch out and grow more blooms. Pinching back means you use your finger nails or fingers, to lightly nip off the growth at the end of the stem. Try to pinch off the stem as close to a leaf node as possible. Do not pull the plant in an attempt to pinch. You can use a small but sharp pair of scissors to pinch the buds instead of your fingers. Any dead or dry blooms on the plant, which are faded and old, should be snipped off at the stalk. This can be done at any time of the plant’s growth. Any signs of disease or an insect infestation, means the plant should be pruned of its flowers immediately. During the annual pruning, any dead or old parts of the plant should be pruned, along with some stems and blooms. Use your fingers for pinching off new growths and use pruning shears for snipping off dead blooms and dried out or damaged stems. Snip off dead flowers from their stalk or elbow (where they are joined to a main stem). Remove any faded and brown leaves and if any stems are broken, remove them as well. Pull out weeds and other small plants growing unwanted, in your germanium plant bed. Examine your plant’s leaves for signs of rot or a fungal infection. Remove any insects on the plant. Cut off all the stems from the plant, leaving only 3-4 stems with blooms. This pruning may seem very harsh but geraniums are enthusiastic growers and will soon grow full blooms with a vengeance. When cutting branches and stems, make sure your shears are sharp. Cut at an angle of 45°. This is a good pruning practice. Cut down the plant’s length, such that it is 4-6 inches above the soil. The plant should be pruned to 1/3 of its total growth. Using a gardening fork or rake, gently shift the soil in the geranium bed. In conclusion, geraniums are easy to look after, delightful blooming bundles, that are a welcome addition of color to any garden. With the right care and maintenance, including pruning and trimming, they can be the highlight plant of a novice gardener or a carefully-styled masterpiece for an old-timer.